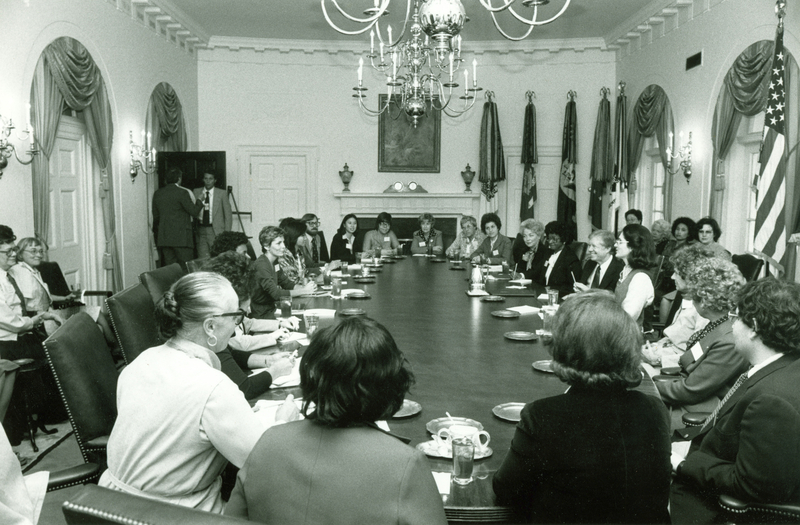 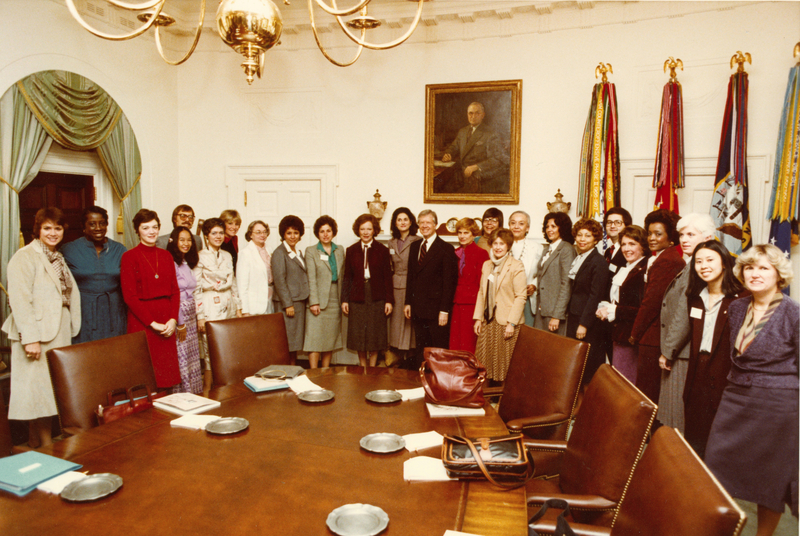 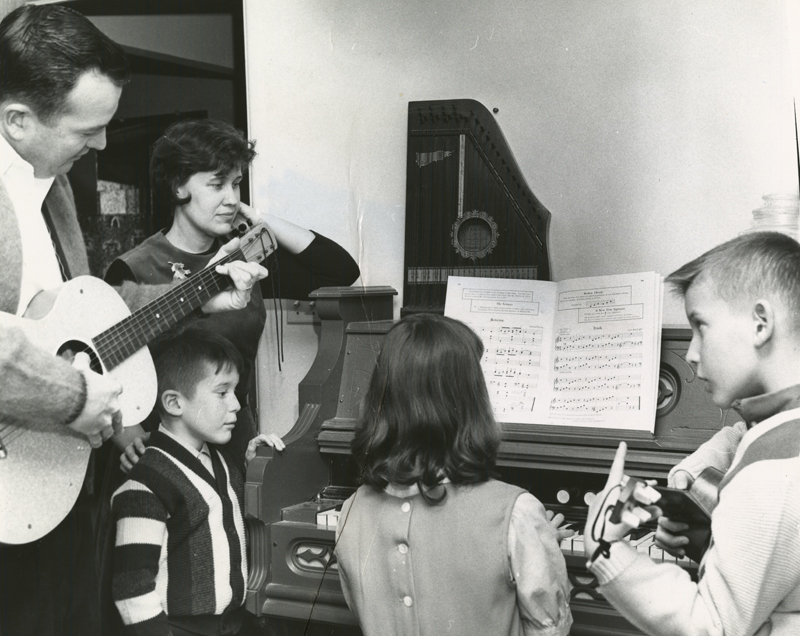 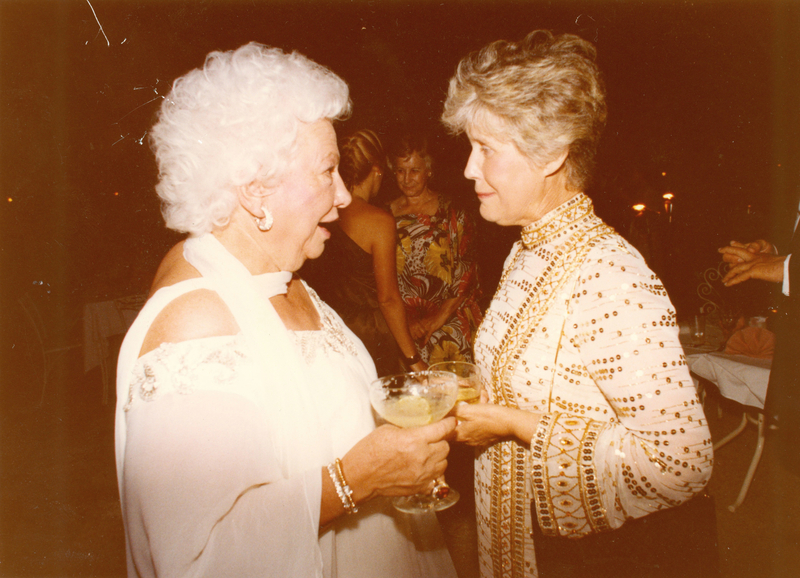 EXPLORE OUR DIGITAL ALBUM OF VINTAGE ERMA PHOTOS. 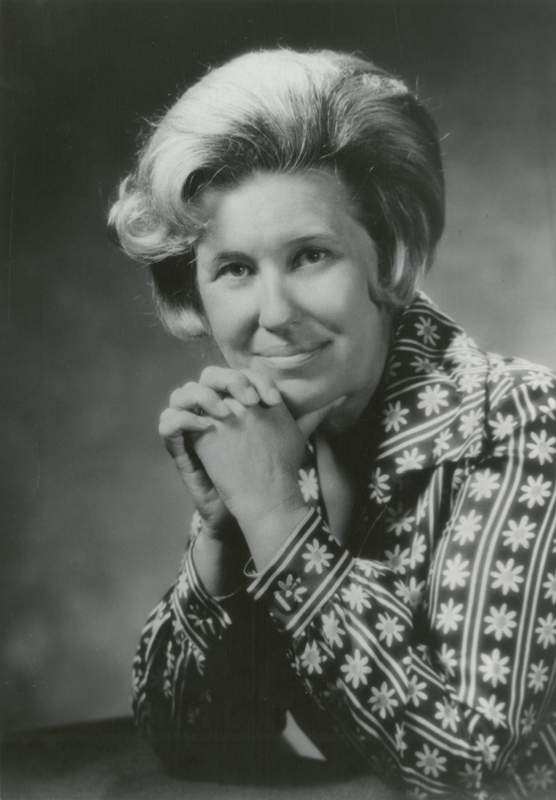 Erma used a typewriter for her entire career. 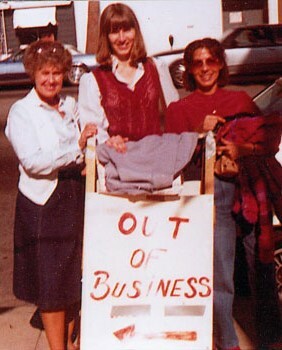 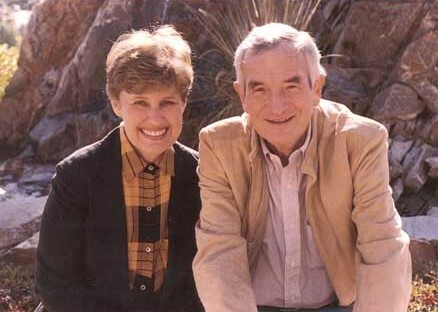 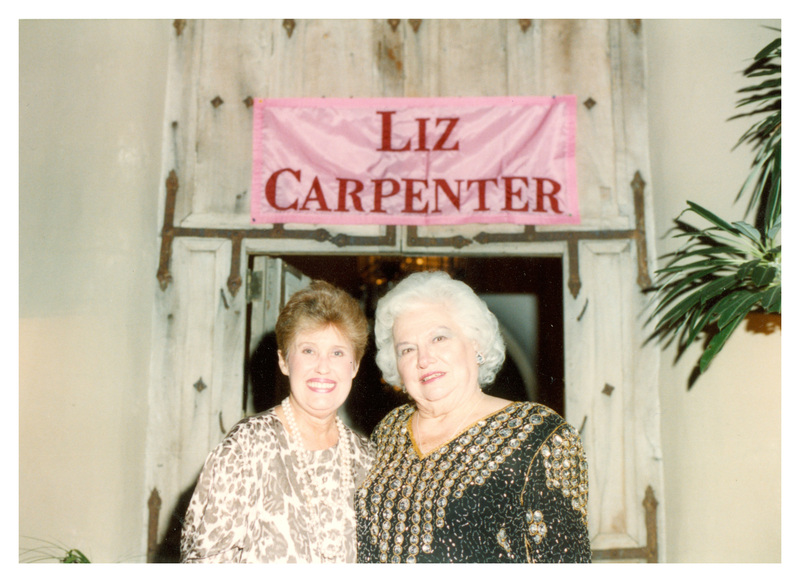 This photo was taken some time in the 1980s. 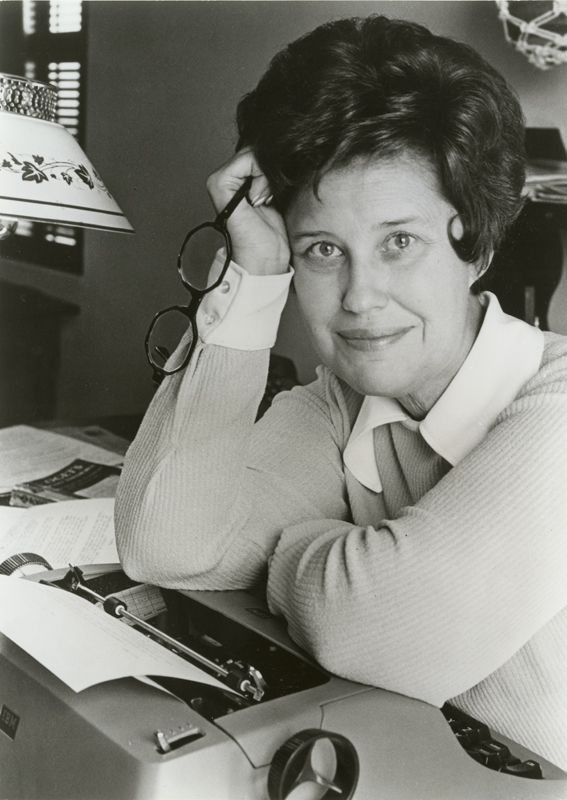 Erma wrote using a typewriter for her entire career. 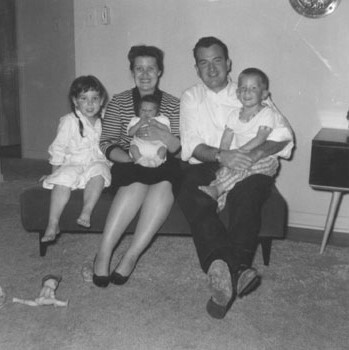 This photo was taken some time in the 1960s. 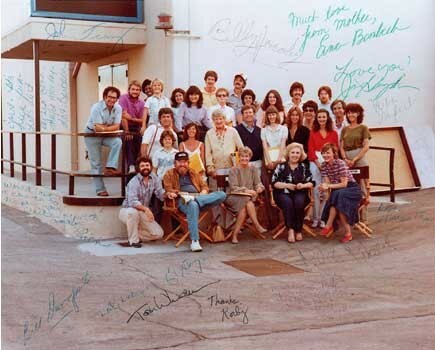 An autographed photo of the cast and crew of the “Maggie” sitcom. 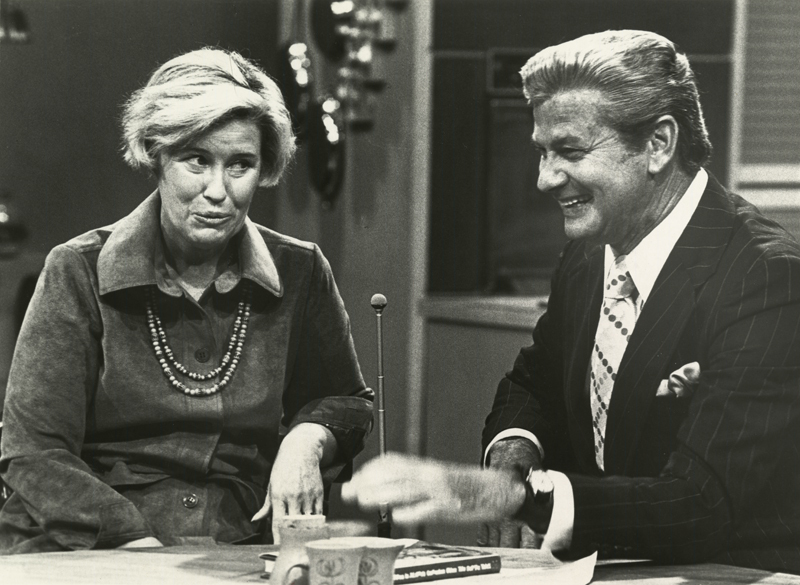 Notice Erma’s note to Karyl Miller in the top right corner: “Much love from Mother, Erma Bombeck.” Karyl was the executive story consultant for the show. 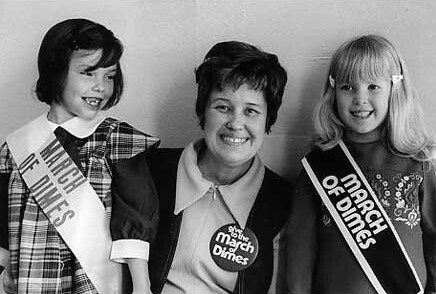 Erma with children for a March of Dimes fundraiser. 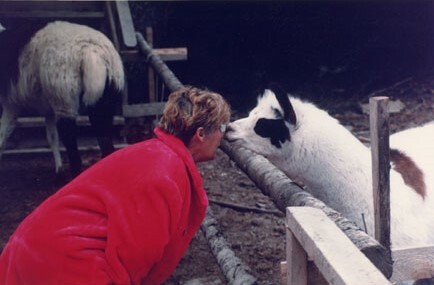 Erma kissing a llama for a “Good Morning America” segment. 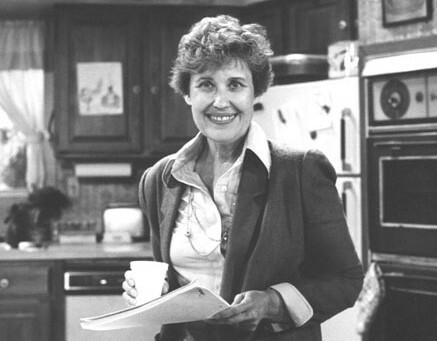 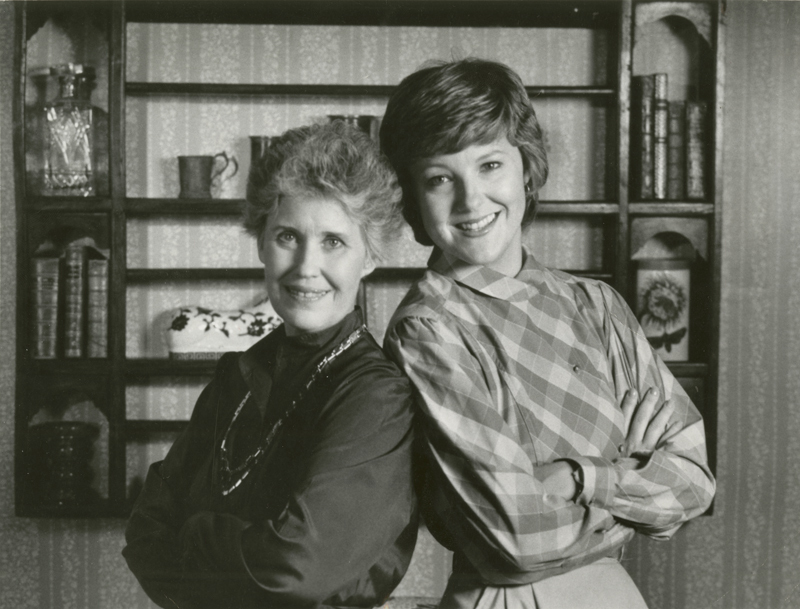 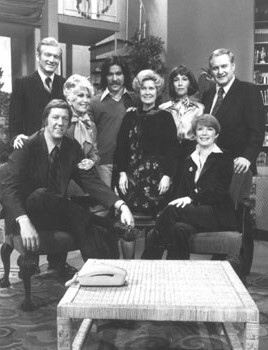 Erma on the set of the TV sitcom, “Maggie.” The show looked at an ordinary, though slightly manic family from Dayton, Ohio. 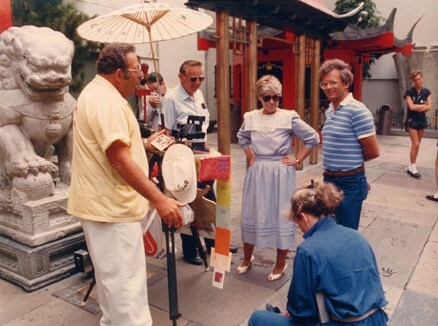 Erma with the “Good Morning America” crew for a shoot at Grauman’s Chinese Theater (Hollywood, Calif.) in 1986. 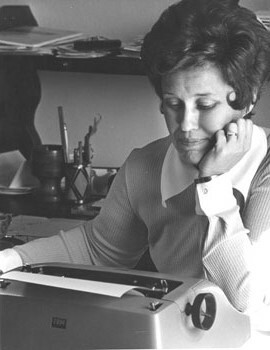 Erma at her typewriter in 1978. 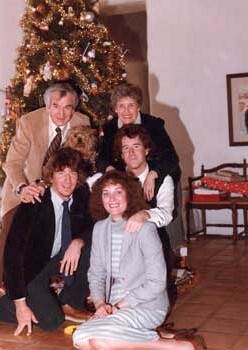 Christmas at the Bombecks in 1982. 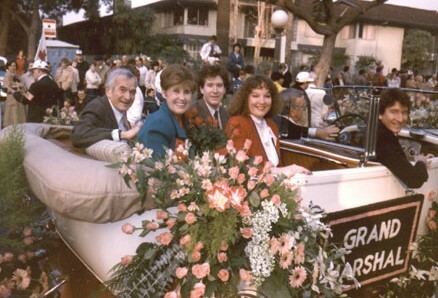 Pictured are Bill, Erma, Andy, Matt and Betsy. 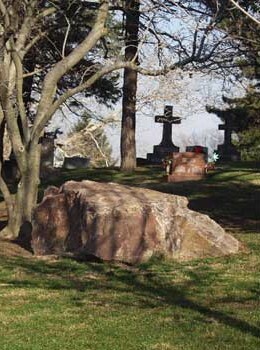 Bill Bombeck had Erma’s headstone — a large boulder — moved from Arizona to Dayton’s Woodland Cemetery where she is buried. 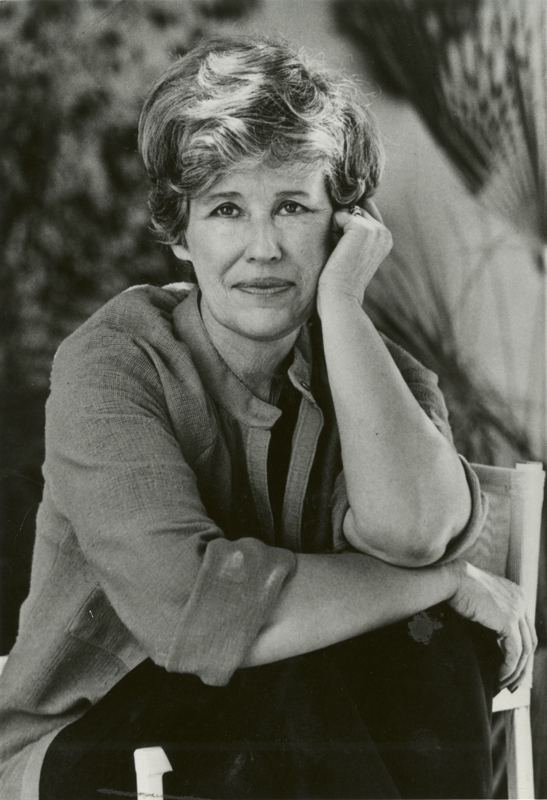 Erma Bombeck on the lecture circuit. 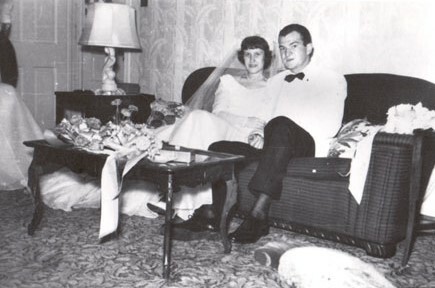 Erma and Bill Bombeck with Bro. 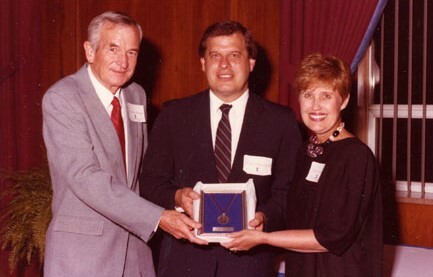 Raymond Fitz, S.M., University of Dayton president, at the John Stuart Society Induction, Oct. 18, 1984. 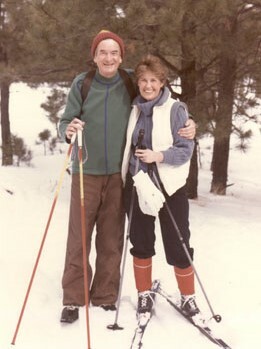 Erma and Bro. 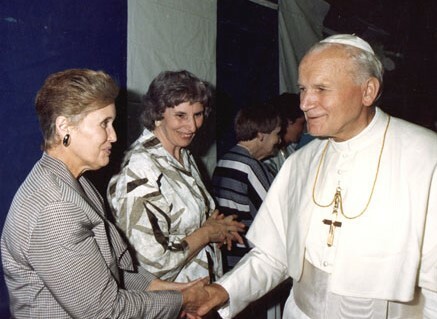 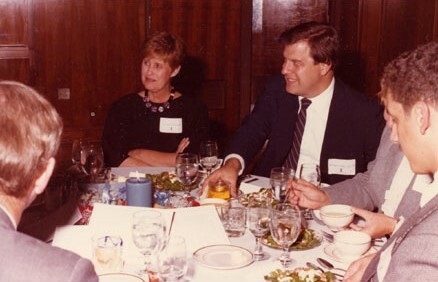 Raymond Fitz, S.M., University of Dayton president, at the Honorary Trustee Dinner, Oct. 18, 1984. 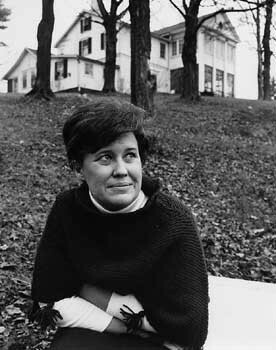 Erma sits in front of her house in Bellbrook, Ohio, in the late 1960s. 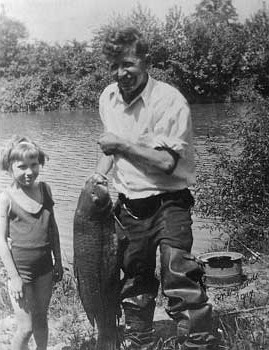 Eight-year-old Erma fishing with her father, Cassius Edwin Fiste. 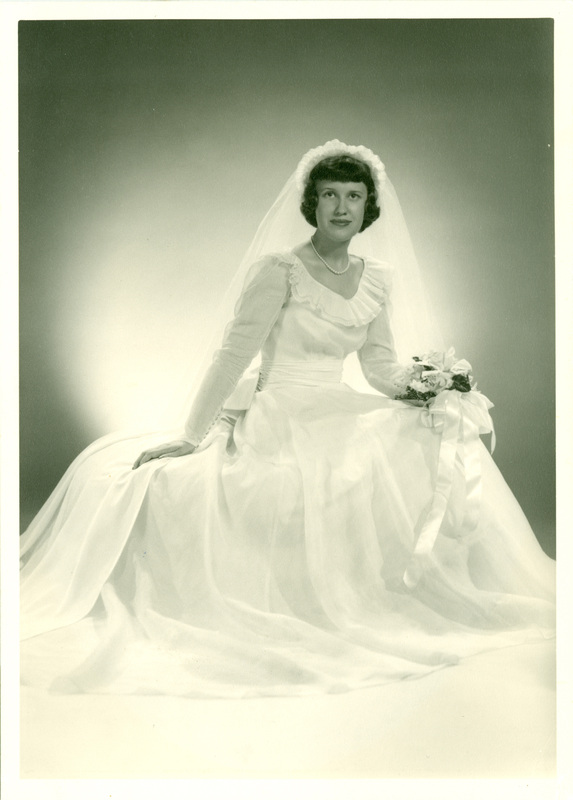 Her dad died when she was nine. 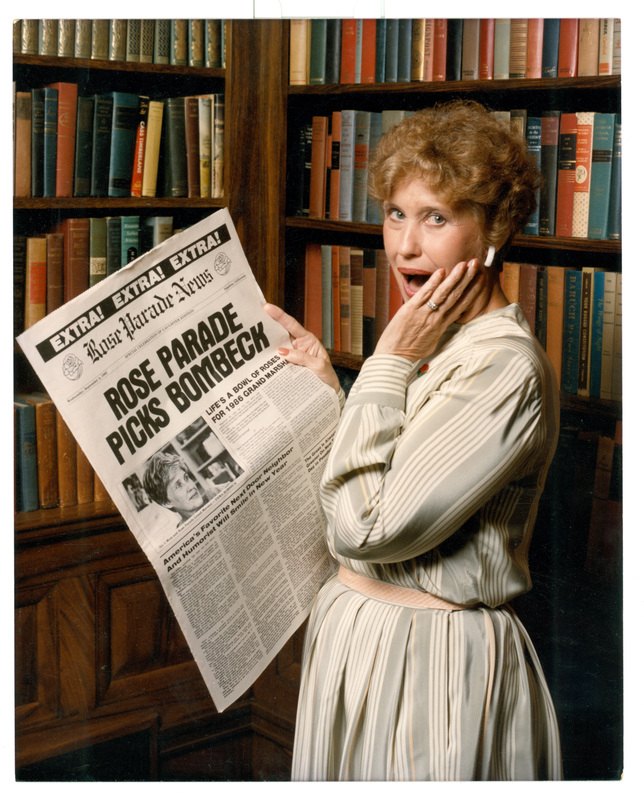 Erma Bombeck holding a copy of the Rose Parade News with the headline “Rose Parade Picks Bombeck.” September 4, 1985. 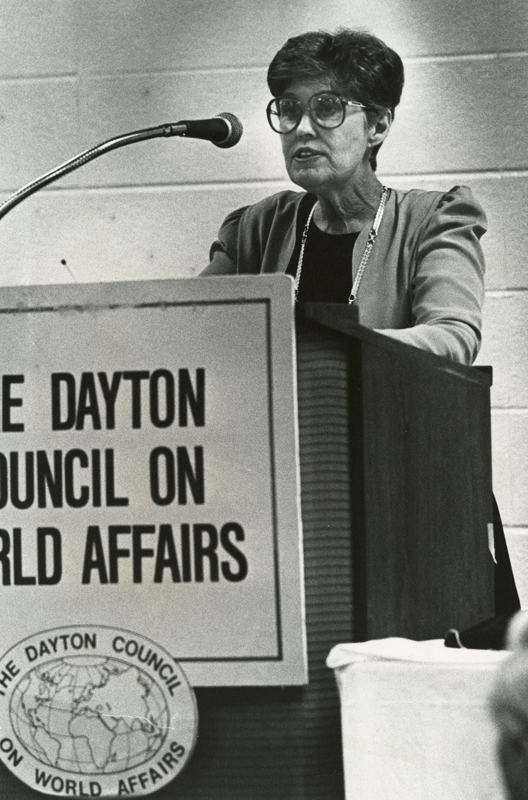 Erma Bombeck talking to Dayton Council on World Affairs. 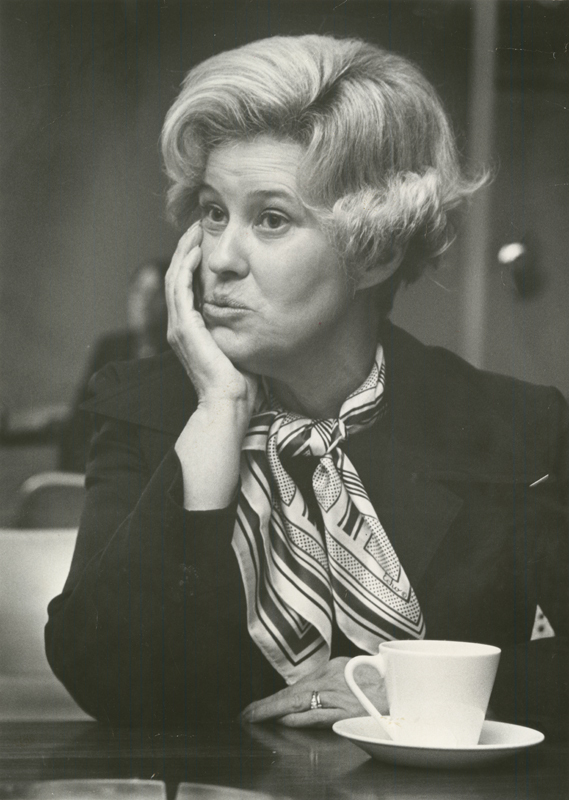 Erma Bombeck fields questions at a morning news conference. 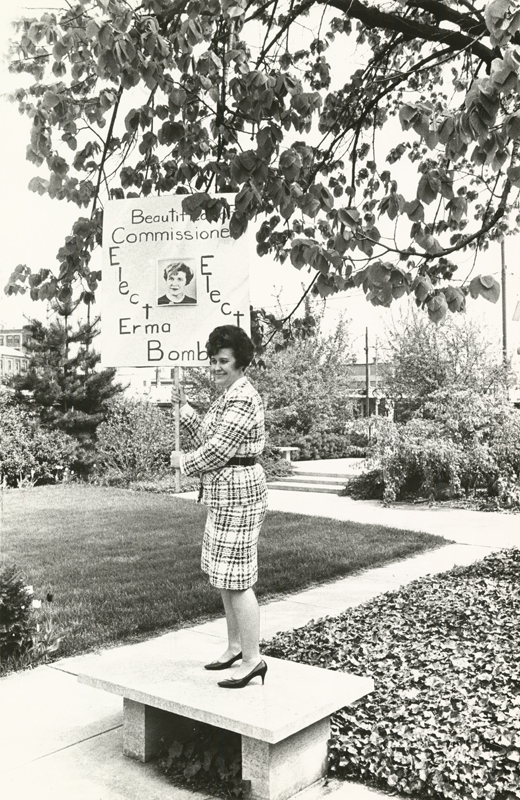 Erma Bombeck holds her commissioner sign while standing on a bench. 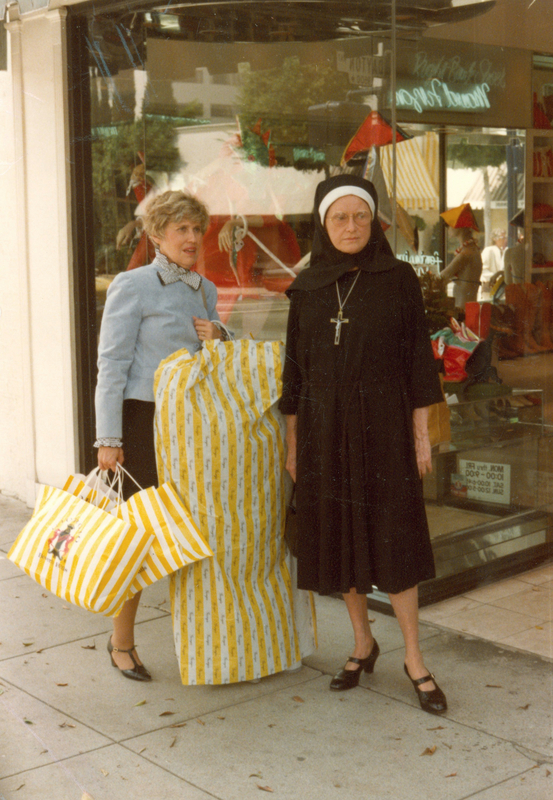 “Shopping” with Phyllis Diller on Rodeo Drive for a “Good Morning America” segment in 1982. 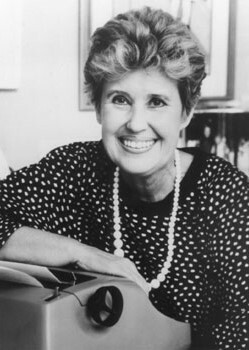 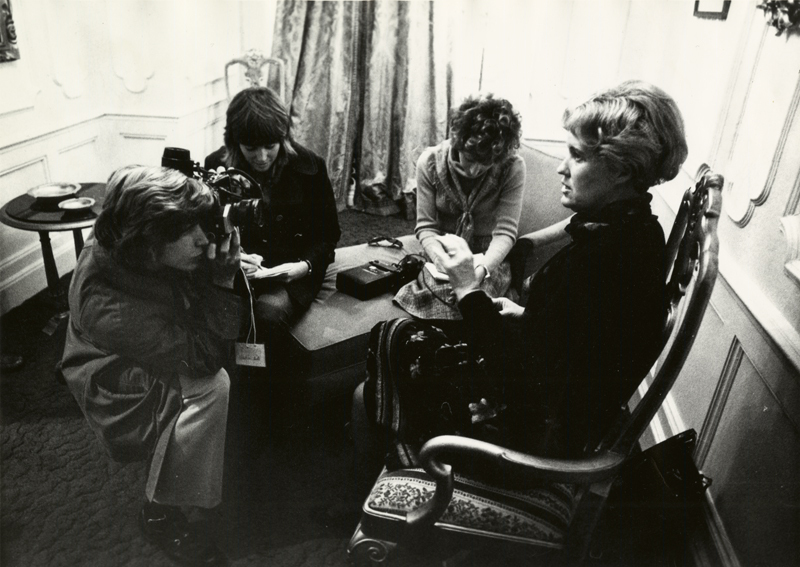 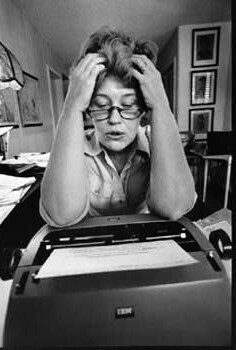 Erma Bombeck being interviewed by a magazine. 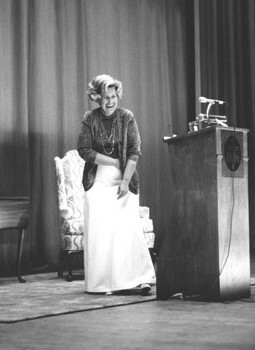 Erma Bombeck at the University of Dayton 1981 Commencement. 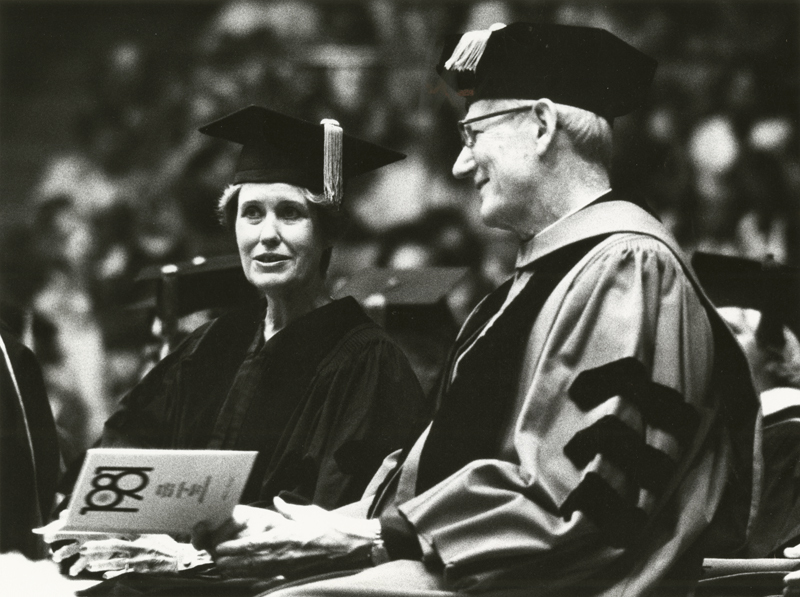 She was awarded a Doctor of Humane Letters. 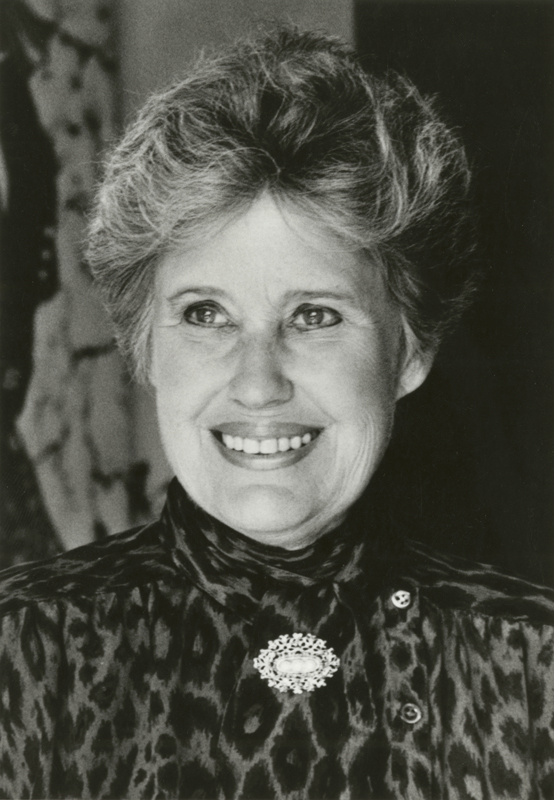 Erma Bombeck, a 1949 University of Dayton graduate, speaks for the Alumni Challenge Campaign to increase alumni participation.